The Jane Coates Wildflower Trail is one of Put-in-Bay’s best kept secrets. There might not be anywhere on the island more beautiful. It’s like walking around in an enchanted forest. You’ll need some bug spray in the summer, but don’t let that deter you, it’s well worth it. You can find it by the Miller Ferry dock. There will be an incredible amount of wildflowers here in the springtime. Blue Phlox, which is also sometimes called Wild Sweet William, can be found here, as can Jack-in-the-Pulpit. It is believed that Native Americans made use of Jack-in-the-Pulpit to heal sore eyes. They may have also laced food with the flower and left it out to make enemies sick. So don’t eat it! There’s also a good chance you’ll see a very humorously named wildflower. Dutchman’s Breeches grow on the Jane Coates Wildflower Trail. Now it may be a funny name, but it’s also appropriate, because sure enough if you take a look, the flowers do look a lot like a pair of white pants! If you like birdspotting, we also recommend Jane Coates Wildflower Trail as a great place to bust out the binoculars. Check out this list here of birds that have been spotted on the Trail. There are some great ones to see if you’re lucky, like the Great Horned Owl! There are cardinals, blue jays and orioles here at times, and some even rarer and more beautiful than these! 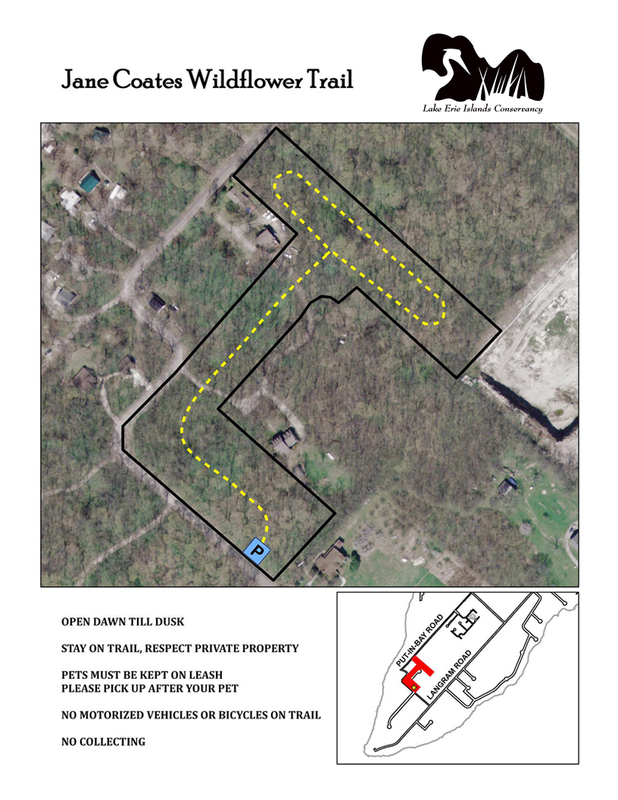 You can take a look at the trail map here. And don’t forget, because this is a trail full of wildflowers, bugs are very attracted to it. Bring your bug spray! It will be worth the hassle if you’re a nature lover, because it is genuinely breathtaking on this trail. Don’t miss it!